16 May ALL DIGITAL Annual Report 2017 is out! 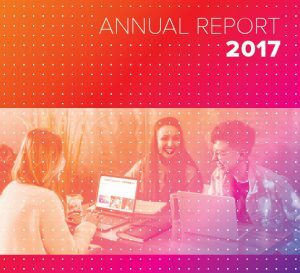 ALL DIGITAL Annual report for 2017, featuring all last year’s achievements, is published. The report was presented to members at the General Assembly on 8 May in Brussels and was approved together with financial documents. The report summarises 2017 in numbers and covers topics from strategic organisational priorities, improving services to members, and influencing public policy to new partnerships, campaigns, events, and projects. 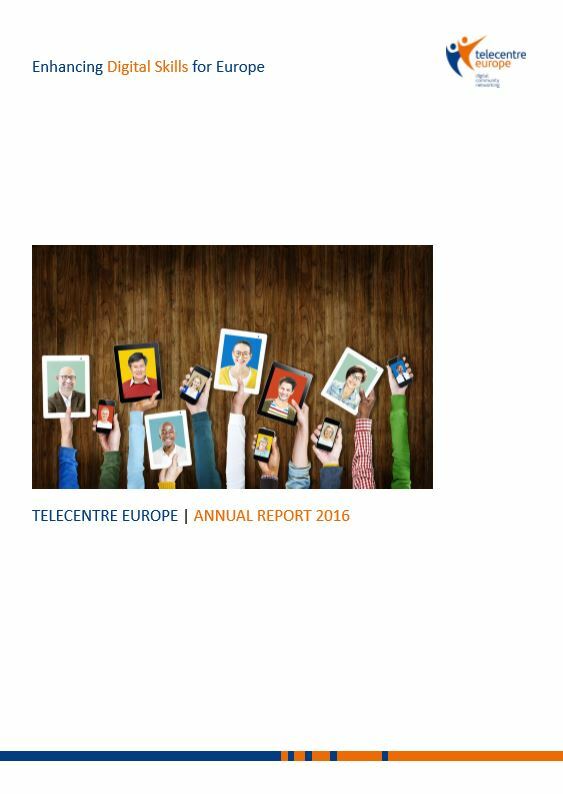 2017 has not only marked its 10th year celebration, but also the year in which Telecentre Europe became ALL DIGITAL, following a rebranding process constructed around the new vision and mission statements of the organisation. implementation of the DigComp 2.1 framework, as well as in our involvement in the Coalition for Digital Skills and Jobs. As a result, five new National Coalitions have been created. We have been active in the ET2020 working group on digital skills – providing ideas and inspiration to new events and policy plans (e.g. Digital Education Action Plan). We have reinforced partnerships with organisations such as CEPIS, DIGITALEUROPE, European Schoolnet, and started new ones (e.g. European Association for the Education of Adults). Also, we continued our strategic partnerships with Cisco and Liberty Global and we have partnered with two new industry representatives (Mozilla and Certiport), under the Get Online Week campaign. In 2017, we have coordinated seven EU funded projects, most of them in partnership with member organisations, and partnered in six more. Our projects are about enabling the digital competences of various target groups (migrants, women, students, young people) towards multiple objectives: social inclusion, citizenship, employment, and entrepreneurship. Our I-LINC stakeholder platform now has almost 3,000 registered users, while our project “Youth e-Perspectives on Migration” won the LifeLong Learning Award in the Education and Democracy category. Also, a MOOC “Addressing Global Citizenship Education through Digital Storytelling”, that has been developed in the BRIGHTS project, has reached over 1,000 registered participants in four EU countries. transformation. 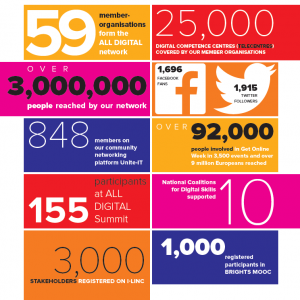 This year, 2,849 organisations in 25 countries engaged over 92,460 participants in 3,506 events and reached millions via media campaigns. To celebrate the 10th year anniversary, we returned to Barcelona, the place where Telecentre Europe emerged as an informal community, to organise the ALL DIGITAL Summit. This 10th annual event turned out to be the largest ever in terms of number of participants, experts and topics: for 155 participants, 23 plenary and interactive sessions were offered, with 48 speakers and moderators. The main theme of the event was around the power of digital skills to enable civic engagement and social harmony, and how digital social innovation must respond to societal needs and how it can present a wide array of solutions to the pressing problems that citizens face. 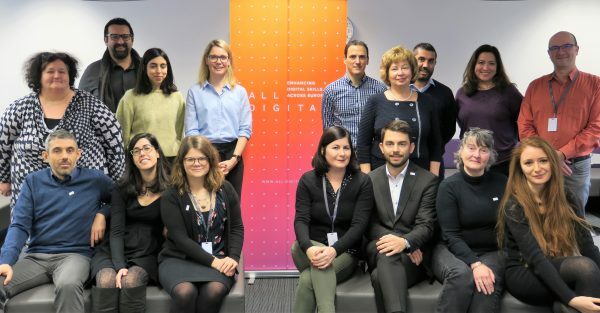 Together with our many partners in Europe, ALL DIGITAL will continue to deliver for citizens, communities and organisations on the premise and promise of our vision, seeking to enhance digital skills for a better society.